Here's another special weight loss testimonial ... WOO HOO!!! Here are pictures of Tiffany's AMAZING Skinny Fiber results. "Love this product! Down 40 pounds in 3 months! And down 73 pounds in the course of 7 months.... stopped for 2 months! 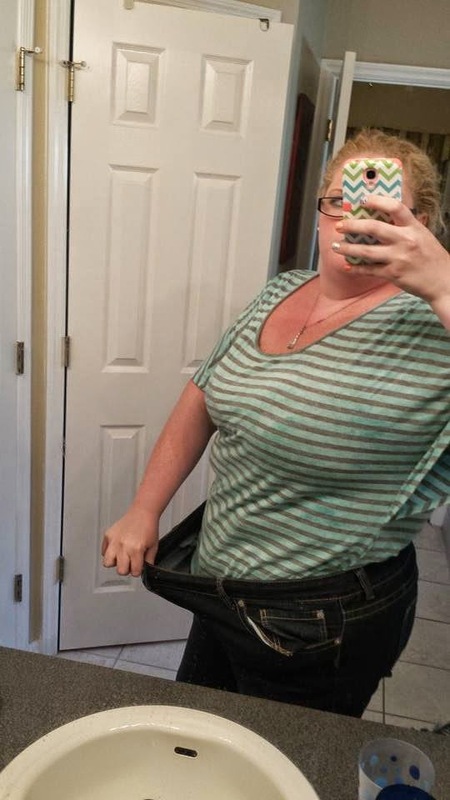 Went from a size 26-28 to a 16! I love this product! I have referred it to many friends as well! Exercise pays off and water aerobics is a great workout too!! I have been doing a lot of water aerobics! Was walking 5 miles a day and now 2 miles and 30-2 hours in the pool!" "No I did haha I researched a lot I was 350 pounds now 277 so I want to do everything right! I am only 27 so I still have time to take back my life!" 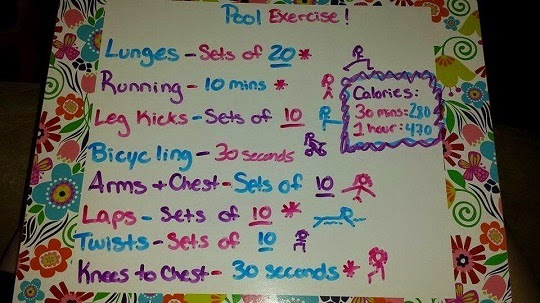 This is pool workout routine comes at a perfect time since summer is right around the corner! 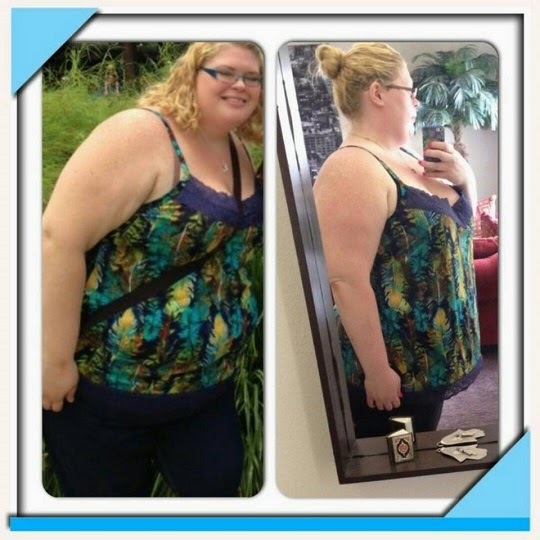 Many thanks to Tiffany for sharing this with us, as well as her before and after pictures below. 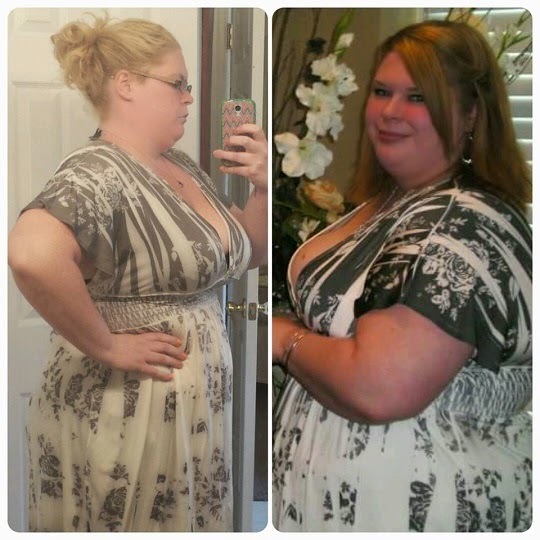 Before & After Skinny Fiber - Tiffany's Weight Loss Pictures - Beautiful!!! She says: "The left was a year ago and the right was 1 month after I started." She says: "The right was 5 yrs ago on my wedding and the left was 2 weeks ago!" Tiffany plans to add some strength training to her cardio workouts, so that she can become a fat burning machine --- SMILES! Regardless, there is no doubt that she's done such an incredibel job so far, so make sure to give her a HUGE CONGRATS by commenting and sharing her special testimonial with friends. She is a weight loss success and proof that exercise w/ Skinny Fiber can bring AMAZING results. Soooooo proud of her!!!. CLICK HERE to see more customer pictures and for the links to the read Skinny Fiber testimonials on my Facebook page! LEARN MORE about the ingredients in Skinny Fiber and how they help with weight loss.